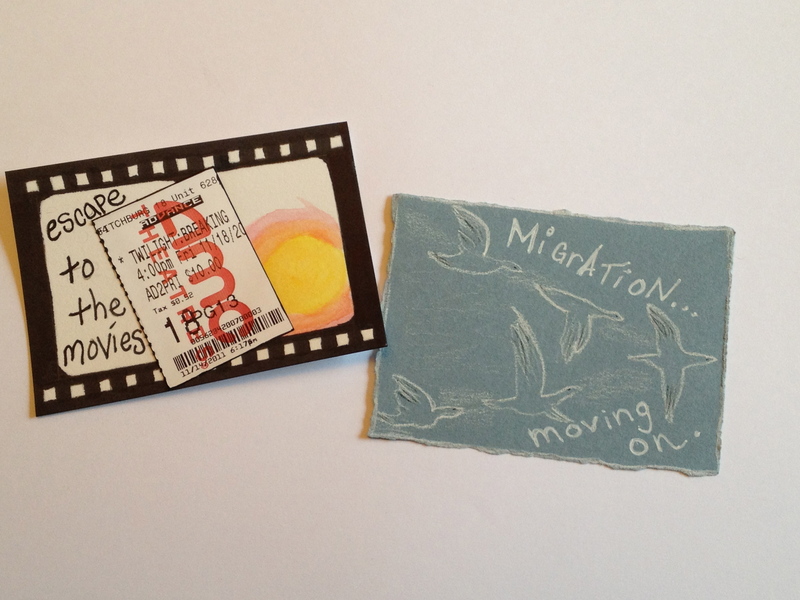 My inspirations for last week’s art cards were migration and movies. To cope with the stressful, busy days I’ve had over the past few months, we’ve been watching a lot of movies lately. 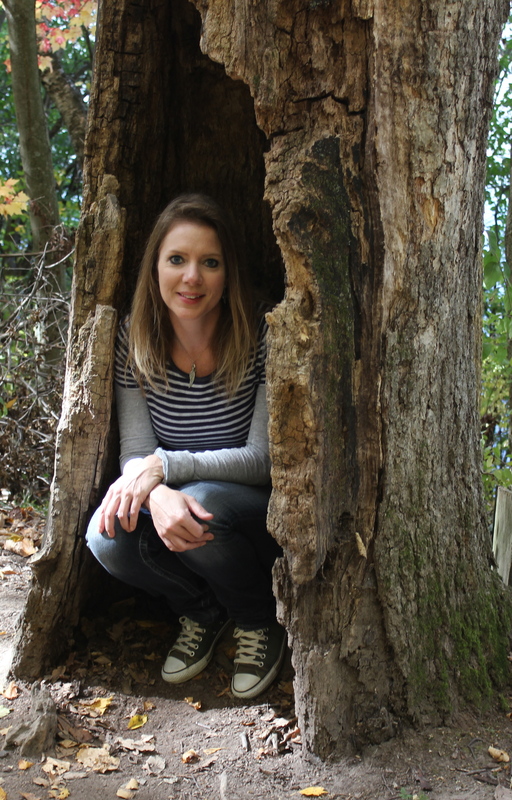 They can be such a wonderful escape! It’s that time of year when flocks of geese are flying in formation to warmer climates. 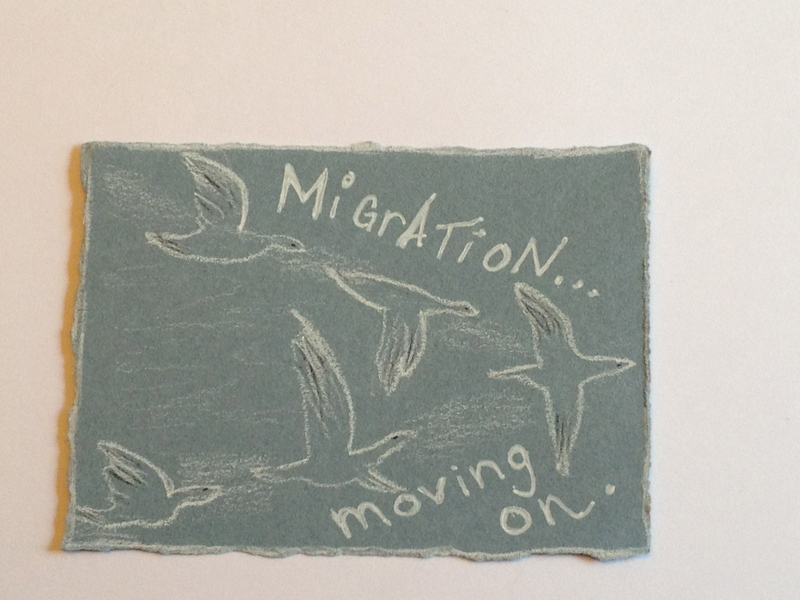 I love the v-shape they form as they migrate together. It’s a fitting representation of moving on. Stop by our Flickr group to see the art Michelle and Sandra have been creating over the past year. It’s pretty cool to see what kinds of images we each come up with to illustrate our daily lives. I’m glad you’re finding a way to de-stress. Happy Thanksgiving! Hi Terri! Beautiful cards and so much ‘this time’! 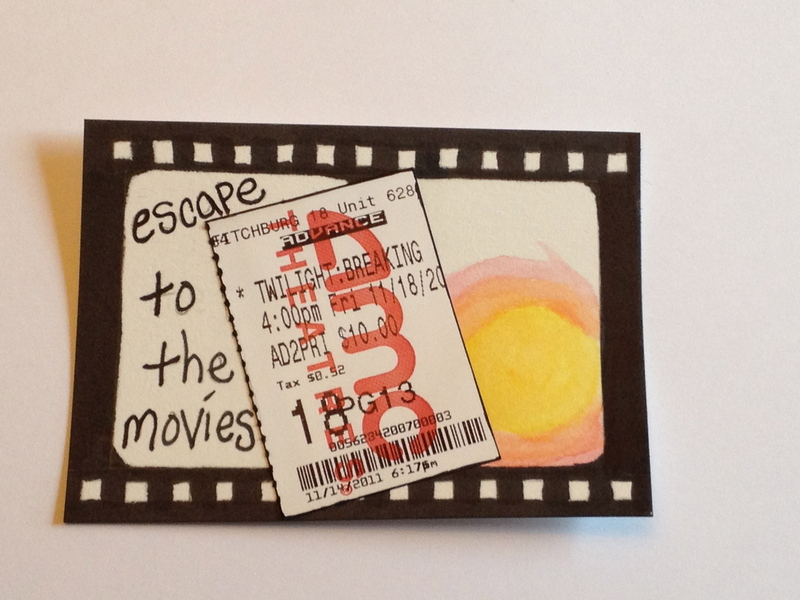 I enjoy watching movies – how I miss to see wonderful, beautiful, great movie! And I enjoy watching the birds flying to south! Fun cards Terri, you’re always so creative.